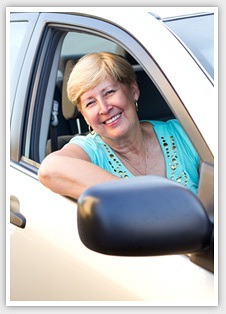 We provide high quality Driving Lessons with all lessons being conducted on a 1 to 1 basis. And we will pick you up and drop you off from your home, college or work. All pupils are individually assessed, so our professional Driving Instructors can structure your Driving Lessons to reach a safe standard of driving in as few Driving Lessons as possible to make learning to drive as affordable as possible. As a professional Driving School we will try to make your Driving Lessons as relaxing and stress free as possible. Most people find single lessons are the most flexible way of learning to drive. You can choose to do as many lessons a week as you wish and you can choose single or double lesson to suit your budget. A complete course of driving lessons to take you right through to Driving Test standard and beyond. You must be seventeen and have your provisional licence. Highway Driver Training follows the standards set by the DSA in driving skills development. Learn to drive at your own pace, it's a team effort with you and your instructor working together. Not only to get you to pass your driving test, but to drive safely for life. Why choose Highway Driver Training? Because your success matters to us! Highway Driver Training is pleased to offer this special facility where you can actually start learning to drive at any time from your 16th birthday onwards. Also suitable for those who are over 17 but who would like to build confidence before tackling real roads. You can book your `Learning to Drive Safely ‘Off Road’, lessons throughout the year. The off road driver training facility at WestPoint Exeter is flexible enough to enable you to progress from moving off and stopping through to dealing with basic road systems and much more. Highway Driver Training offers a careful re-introduction to driving, and regaining your driving confidence. There is no pressure and lessons are prepared to your pace!! This is a highly successful course of lessons designed for a specific group of people who fit the criteria for an accelerated learning programme. We offer intensive driving courses ranging from a short 10 hour driving course, perhaps for someone who has recently failed a test, Up to the 40 hour driving course for the complete beginner. Our instructor will also need to carry out an assessment of your driving skills to date and therefore recommend to you the course most suited to your ability level. This assessment is not necessary if you have never driven before as the course you require will be the 40 hour course. We recommend that you take a Highway Mock Driving Test if you have been learning to drive with mum, dad, family or friends. Chances are they may not be fully up to date with the latest driving test requirements. Or maybe you just feel you would like a professional assessment before the big day of your driving test. 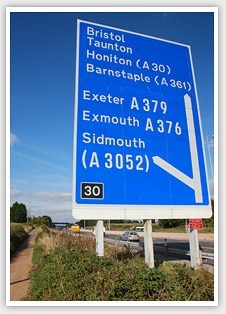 Independent driving became part of the practical driving test in Great Britain in October 2010. Improve your driving skills further with a Highway Driver Training pass plus course today! The Pass Plus scheme will reward you for becoming a safer driver with savings of up to a 1/3 off your first year’s car insurance. In most cases this saving should easily cover the cost of your Pass Plus training and leave you with a lower insurance premium, than if you had not taken the pass plus course. As an added bonus once you have completed a Pass plus Driving course successfully Highway Driver Training will also provide you with a list of major insurance companies who recognise the Pass Plus scheme and will reward you for becoming a safer driver. Most newly qualified drivers have little or no experience of high volumes of fast moving traffic, so at first motorway driving can seem quite daunting and to some even frightening. This is why we recommend that after passing your test you should consider taking up some motorway driving lessons with us. Take a look at our offers as we update them regularly. Special Offers Money Saving block booking offers, available for your first lessons! 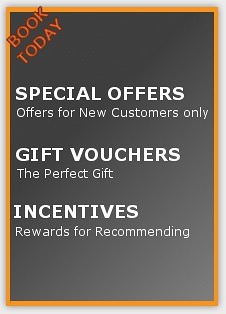 Incentives Recommend us to a friend or family member, to be entitled to a great reward! Gift Vouchers Whatever the occasion whether its Christmas, Birthday, Exam results or that special Anniversary a driving gift voucher is a wonderful surprise. The recipient will always remember that you gave them the gift of driving.